We published close to 500 blogs in 2016. Our team likes to read and write, and share the work of others—that includes a huge shout out to all of our guest bloggers. Let’s take a look at some of our most popular blogs and also our staff favorites from the year, organized by category. Diversity is Not Our Problem, It’s Our Solution by K.C. Knudson of Burlington-Edison School District highlights the #ShadowAStudent initiative and emphasizes commonality over divisiveness as a strategy for creating a college-going culture for all. Also, here’s a shout out to College Spark Washington for their leadership in helping ensure readiness in Washington state for more students. The educators mentioned in 14 Educators and Resources Pushing for Progress are all creating classrooms or environments that help support equitable learning opportunities for all students. Our #GenDIY (Generation Do It Yourself) series launched into a website this year, with a focus on how young people are charting their own course to create access to opportunities. The most important tech trend of 2016 was the rise of artificial intelligence. It got smarter and more pervasive, AI startups were gobbled up by big platforms, and the media started covering the implications of a few important reports including the Stanford AI study—Artificial intelligence in 2030 (ok, we admit that this one’s not by us, but it is incredibly relevant if you want to understand AI and where we are headed). We think it’s a good time to #AskAboutAI and have written about the implications of machine intelligence in healthcare, security, transportation, manufacturing, at home, in education and what it means for our kids. Tom writes about how algorithms are making a difference in 9 Ways Smart Machines are Improving Your Life. In the #AskAboutAI podcast, we hear about how AI could potentially impact our students. Listen here: The Future is Here: Artificial Intelligence & What it Means For Our Kids. We loved this post on why dual language is an economic imperative and important for equity. This published pre-election, and seems more important than ever. The iNACOL Policy team highlighted 6 ways states can redefine student success under the new federal education law – ESSA. Senator Howard Stevenson was on the Getting Smart Podcast talking about policy that supports personalized learning. Our staff compiled the 25 Can’t-Miss Education Conferences in 2017. We look forward to seeing you at these great events in 2017. We also went to iNACOL Symposium in 2016. Read our recap here: 3,500 Educators Committed to Innovation for Equity. Another topic we took up in 2016 was the appropriate use of leaderboards and gamification strategies. We looked at performance monitoring in private and public, formal and informal, and individual and team settings, and we drew six conclusions: measure what matters, be timely and relevant, honor different motivational profiles, encourage effort, avoid shame and blend competition and cooperation. In What’s Next? Personalized, Project-Based Learning, we explore how schools are working to personalize projects for students. Many schools realize that collaborative learning all day isn’t going to help each individual student reach all of their academic and personal goals, so there needs to be some element of personalization. Tom writes about how much ground we have made in the personalized learning space and outlines several areas where we still need more progress. Read Personalized Learning in 2016: What’s Working, What’s Missing for more! In June we asked 20 experts for tips on new school development, and overnight we had 100 tips—5000 words—and the message was clear: getting the culture right is most important. From our colleagues at New Tech Network, we loved this post on an ambitious plan to make the nation proud of its public schools. 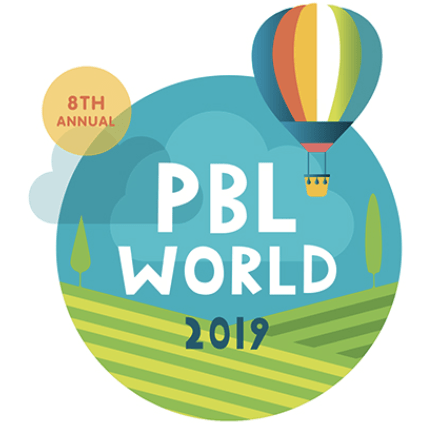 Our team traveled to PBL World, a conference dedicated to high-quality project-based learning. One of our favorite blogs from the conference is Promising Practices in Project-Based Learning and Equity. As part of our work to promote high-quality project-based learning, we featured 35 leaders on the success and challenges of high-quality PBL, and then an additional 30 leaders. Read more about initiatives in supporting quality engagement and inquiry using PBL. Teachers provided examples of their favorite projects in 5 Power PBL Examples: Makers, Muppets and More! We keep referring back to this post on whether it’s a project or an activity as we continue to discuss elements of high-quality project-based learning. In 2016, we launched our Place-Based Education campaign. For more on the series, see where it all began. Platforms have transformed the economy. We wrote a blog about how platforms might transform education in our blog Is education next? We also offered a follow-up post after our review of learning platforms. School visiting are a great way to learn, and we visited a lot of schools in 2016 including Denver and the Bay Area. Here’s a blog and podcast on Project-Based Learning at Olin College and an earlier post on Student-Centered Learning at Olin College. We also visited and wrote about Bulldog Tech, Katherine Smith and Urban Promise—we can’t wait to continue to visit schools in 2017. In Blended, Project-Based and Social Emotional Learning at Thrive Public Schools, we got to take a tour of this great San Diego school and got a glimpse of the future of learning: blended, personalized and competency-based. Tom also visited The Greenest School in the World in Bali—and we were all a bit jealous! In the move towards equity and access globally, our staff has written about innovations in learning around the world. We wrote specifically about Africa in 5 Organizations Scaling Innovations in Learning Across Africa. We officially launched our #SmartPlanet series with an article by Bonnie Lathram and VIF International Education’s David Potter, Why Global Should Be the Education Movement of 2017. We invite you to connect, create and share with us on this topic, now and in the new year. There’s still time to find great ways to promote STEM with students (or your own kids). Check out our staff guide to STEM treasures: Best of 2016 STEM Gifts for Kids: Preschool Through Elementary. The infamous “marshmallow experiment” on delayed gratification reminds us that sometimes waiting is hard for kids (or for humans in general). In On Becoming More Than Preparing: 10 Tips on Developing Humans, we talk about emphasizing students’ abilities to manage themselves, to collaborate with others and to make good decisions. You never know what you will learn from eavesdropping—an interesting conversation between a grandpa and his grandson resulted in 7 Things Middle Schoolers Should Know. Now, more than ever, it is important to make sure that students are prepared for social interaction. This serves as a good list of conversations to have with your kids before they head back to school after the break. We also have written about self-directed learning, what it is and what it takes to cultivate more agency and self-directed learners. We are looking forward to 2017. If you have a favorite blog from 2016, let us know. Tweet at us @Getting_Smart and we can add it to the list. If you have ideas for blog content, check out our guest posting policies. If one of your new year’s resolutions is to activate your educator voice, we’d love to read your post for consideration for GettingSmart.com. Thanks, and Happy New Year!